This post is in partnership with Cost Plus World Market, a brand I love. All opinions here are my own. I love shopping at my Murfreesboro, TN Cost Plus World Market! They not only have amazing products but they also have amazing chances to win prizes and they give back to their customers via the Cost Plus World Market Explorer program. I have something even more exciting to share with you! I am stoked about the newest Golden Llama Treasure Hunt Program. Llama's are SO CUTE! This program is so exciting because you get to go in store (check out your local store here) for it! 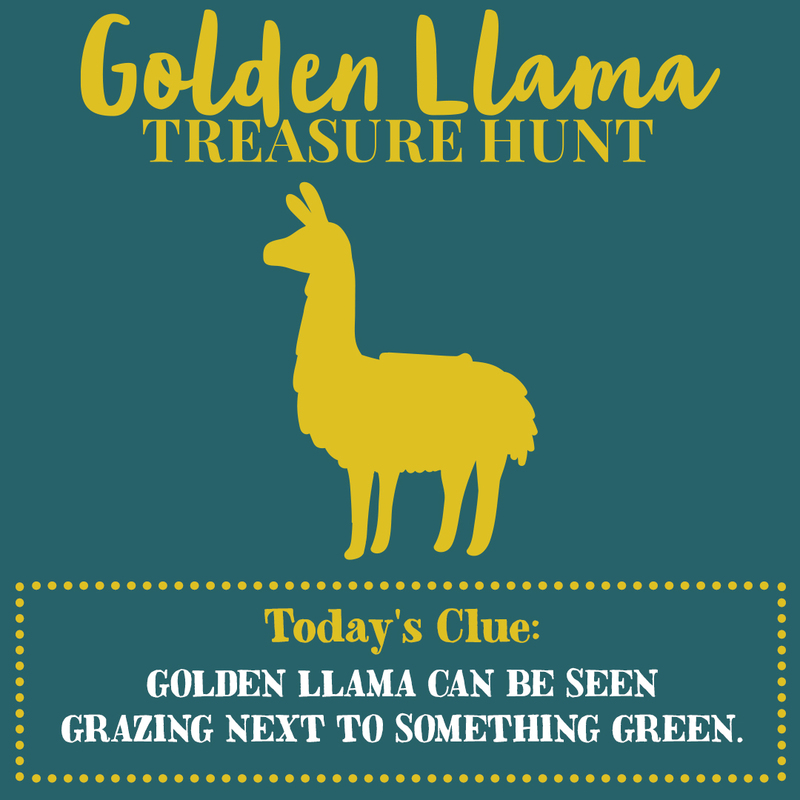 Golden Llama Treasure Hunt- Find a Golden Llama and receive a coupon valued at $20, $50 or $100! Over $1 Million in Total Rewards! Every day beginning Wednesday, November 1st through Wednesday, November 22nd, your local Cost Plus World Market store will hide 5 Golden Llama pieces throughout the store. Each day, we’ll share the daily clue in-store, via email and on our social media channels. Use the clue to help you find a Golden Llama and you could receive a reward. Locate (1) Golden Llama piece and bring it to the nearest store associate to exchange for a reward coupon valued at $20, $50 or $100. Reward is valid only on the day it is awarded. *Limit one (1) reward per person throughout the Promotion Period, regardless of store location(s) visited. EMPLOYEES NOT ELIGIBLE. See Terms of Participation for complete details. I don't know about you, but this sounds SO FUN! Clue #5 is below for 11/5! Cost Plus World Market also has so many Llama items to choose from in store! The one that I love the most is the Llama Ornaments! I love these because they are SO CUTE and they are a conversation piece for your tree! 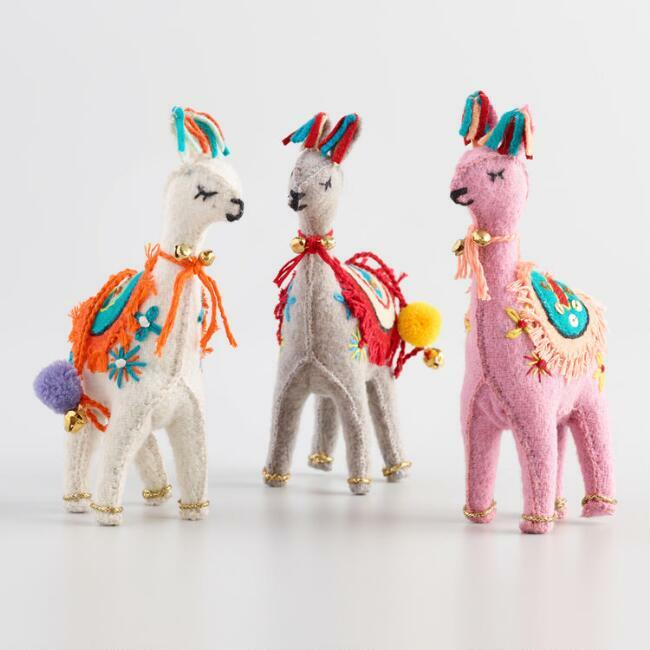 This set of 3 felt Llama ornaments is only $29.97 too! I am going to buy several sets for our tree this year! Who can say they have Llama ornaments on their tree?! YOU CAN! 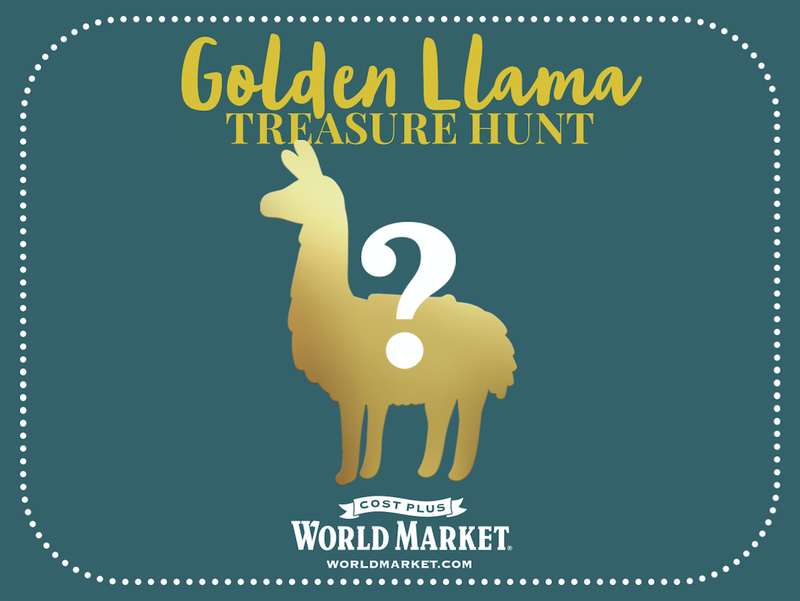 Overall, I hope you loved learning about Cost Plus World Market's Golden Llama Treasure Hunt program, and I can't wait to see my readers participating! As a reminder, check out your local store here and join in on the fun! You can also visit Cost Plus World Market on their social channels below to stay up to date with the latest! Don't forget to follow my Facebook Page to get your daily clues!